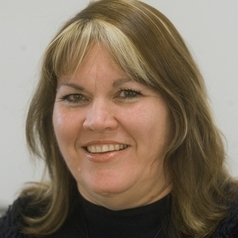 Dr Sue Thomson is the Deputy CEO (Research), the Director of the Educational Monitoring and Research Division and the Research Director for the Australian Surveys Research Program at the Australian Council for Educational Research. Dr Thomson's research at ACER has involved extensive analysis of large-scale national and international data sets - the Longitudinal Surveys of Australian Youth (LSAY), as well as TIMSS, PISA and PIRLS. In more recent work she has collaborated on projects involving analysis of the longitudinal data collection associated with PISA. Dr Thomson joined ACER in 1998 and spent a number of years as a member of the Longitudinal Surveys of Australian Youth project team. She also managed the Australian component of Schools around the World, an international project examining assessment in science and mathematics, and Project Good Start, which examined children's numeracy in the transition from preschool to the first year of school. She was engaged as an expert writer on the National Numeracy Review, and has consulted with DEEWR, FaHCSIA and the Victorian and ACT Departments of Education on a variety of data analysis projects related to TIMSS and PISA. Dr Thomson has published a variety of articles and research reports based on her work at ACER (see also under Sue Fullarton), and has presented findings at conferences internationally and nationally.